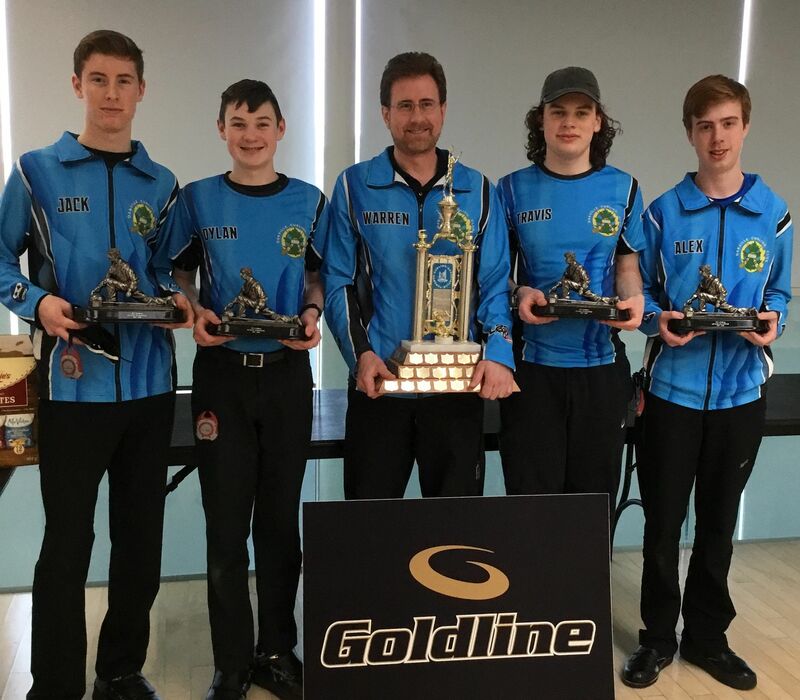 Congratulations to Team Flannery for bringing home the Goldline Trophy from the Finals Day of the TCA Goldline League. The Goldline League provides a competitive league during the season for mostly U18 teams to develop their team play. The season consisted of 13 GTA teams playing 12 regular season games which were held at St. George's Curling Club. The season culminated with 2-8 end games on Finals Day, which was held at Chinguacousy Curling Club. After finishing 4th during the regular season, Team Flannery brought everything to the rink to win both their games against the first and second place teams, going undefeated in the playoffs! The team would like to thank Goldline and the TCA for their sponsorship of the season and the Finals Day. The team would also like to thank their parents, coaches and sponsors (Lorri's Hair Den, Executive Collision Co., Trio Roofing, and CIBC) who supported them throughout the season. Also a final thank you to the Oakville Curling Club for being a fantastic home club to represent.